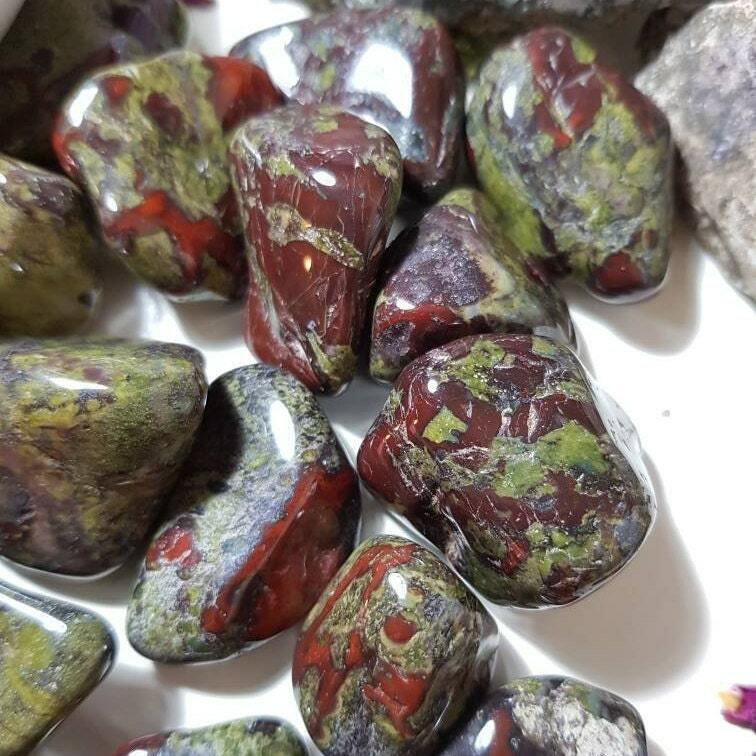 Dragon Blood Jasper helps to lift the emotions, bringing vitality and joy. 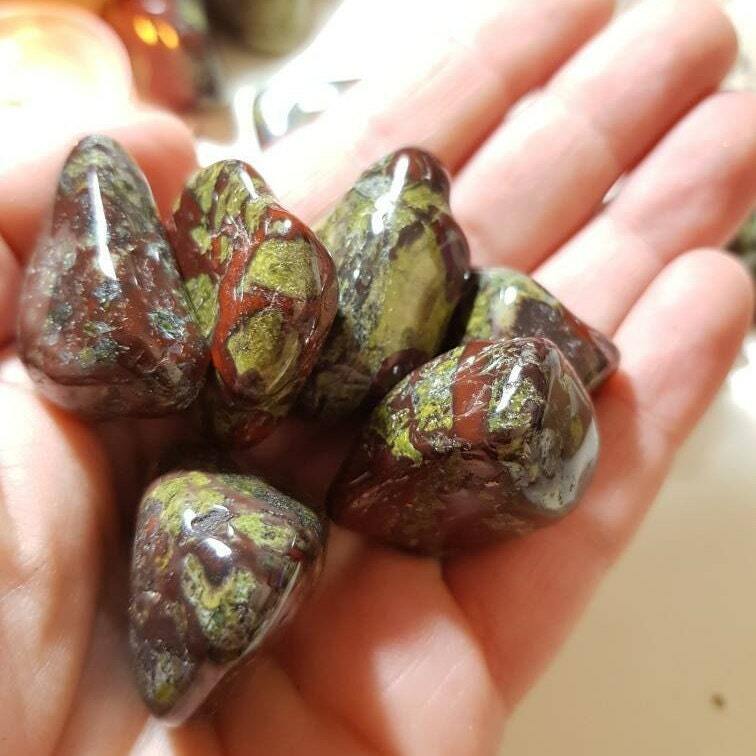 Dragon Blood Jasper is also a stone of personal power. 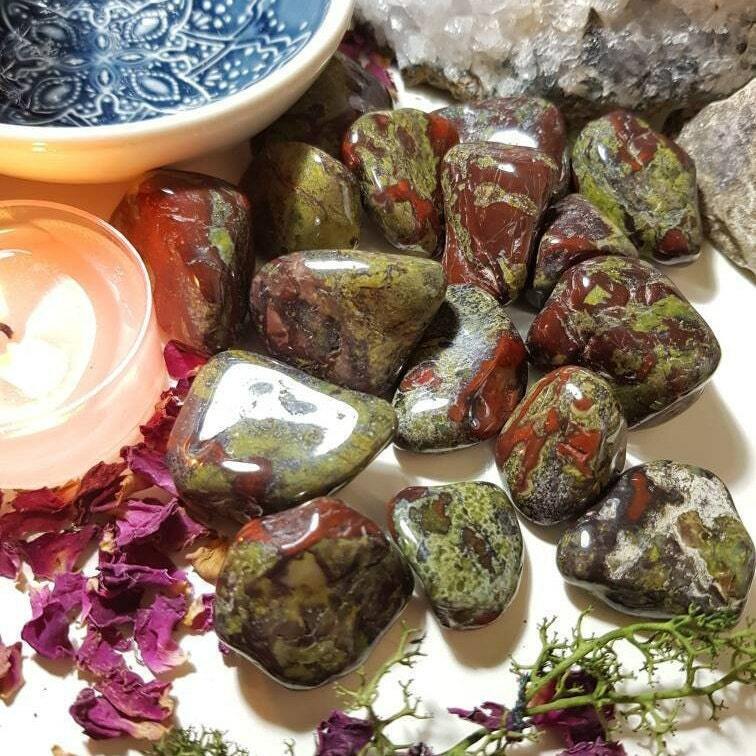 It provides strength, courage, and purpose to help face difficulties and to heal repressed emotional issues.